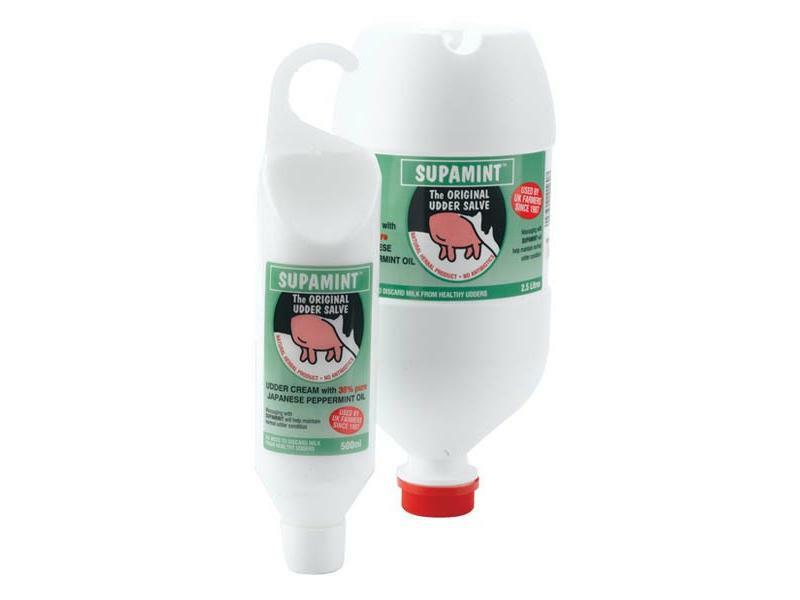 Supamint’s peppermint oil composition provides soothing relief to the swollen udder of cows. Supamint is a natural product made without antibiotics or steroids that would require milk to be withheld. This means you can safely use Supamint on swollen udders without worrying about having to discard milk. 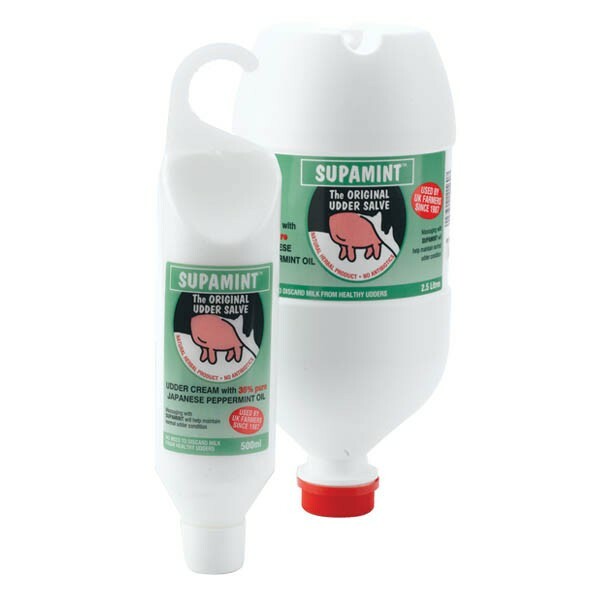 Supamint’s cooling effect is also beneficial towards hard or irritated udders, and its use doesn’t taint milk making it ideal for first milking and heifers. To help maintain and improve udder condition. Storage conditions Store between 5-30°C, Keep out of direct sunlight. Presentation A smooth white cream. Packaging In a 2,500ml and 500ml easy to use dispenser. Health & Safety For external use only. Avoid contact with eyes and nose, in the event of contact rinse with plenty of cold water. Rub approximately 10ml of SUPAMINT® cream into the udder after milking. Re-apply 2-3 times per day after first milking/stripping out and repeat for 2-4 days. Warnings Not for human consumption. There are currently no questions for FarmSense SupaMint Peppermint Oil - be the first to ask one!